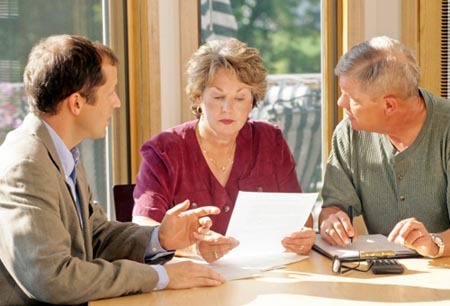 What are Advance Directives? What is a Living Will? "Advance Directive" is a general term for living will, health care proxy, and organ donation authorizations. The purpose of Advance Directives is to ensure that your medical wishes are known and respected when it counts. If you are hospitalized, the hospital is required by law to ask if you have completed an advance directive and, if you have one, to place this directive in your medical record. The federal law requiring hospitals to do this is entitled the Patient Self-Determination Act of 1991. DocuBank stores any and all Advance Directives that you have completed. Below you will find a listing of the most common names and their definitions. These forms can be referred to by different names from state to state. If you have any questions please contact us. This is a legal document that describes the kind of medical treatment and care you want if you are not able to make health care decisions yourself. A living will can be used to define which treatments you do and do not want your doctor to use. This legal document appoints a person you select to make medical decisions on your behalf if you are unable to do so. This document states that you wish to be an organ donor. This is an important addition to your documents even if you have made your wishes known on your driver's license. The Health Insurance Portability and Accountability Act of 1996 is a federal guideline set in place in an effort to protect patient privacy. These forms are drafted in order to make sure the appointed health care advocate has access to the information they will need to help them make health care decisions.